(NaturalNews) The vaccine mafia is pulling every dirty trick in the book to silence doctors who are courageous enough to question establishment dogma on vaccine safety and effectiveness into keeping quiet about this hot button issue. But at the end of the day, these medical villains are failing to achieve their endgame, thanks to First Amendment protections that (although they continue to be chipped away by the enemies of liberty within our own government) still persist in support of health freedom. The recent attempt by vaccine industry trolls to silence Phoenix, Arizona-based integrative cardiologist Dr. Jack Wolfson, for instance, who boldly spoke up following the manufactured Disneyland measles "crisis," is a perfect example of how freedom of speech finally won out for a change. The establishment attempted to have Dr. Wolfson's medical license revoked, but their bullying didn't work. According to a recent post on Dr. Wolfson's blog, the Arizona State Medical Board, after receiving dozens of "complaints" about his practice (nearly all of which came from paid industry operatives), opened an investigation that threatened to revoke Dr. Wolfson's medical license. But the case was eventually dropped, and Dr. Wolfson's free speech rights protected. It all began when Dr. Wolfson gave an interview earlier this year with a local NBC affiliate, during which he voiced his concerns about the safety and effectiveness of vaccines. As you may recall, Dr. Wolfson encouraged readers and viewers to take a nutritional approach rather than a vaccinating one, emphasizing the importance of boosting the immune system naturally through food, sleep, exercise and in some cases supplementation. Not long after this powerful interview was aired and published, the ire of the vaccine industry cascaded into a witch hunt against all doctors who oppose the vaccine status quo. For a while, it seemed as though Dr. Wolfson would be among the first casualties, but his case continues to win out, and his boldness serves as inspiration for other doctors who hold similar views. "All of my media exposure and comments generated 38 complaints to the Arizona Osteopathic Medical Board and an investigation was opened," writes Dr. Wolfson, noting that most of the complaints came from doctors who don't even practice in Arizona, and none of them came from his actual patients. "Do people really want to live in a country where doctors cannot have opinions outside of those promoted by pharmaceutical companies and the doctors on their payroll? 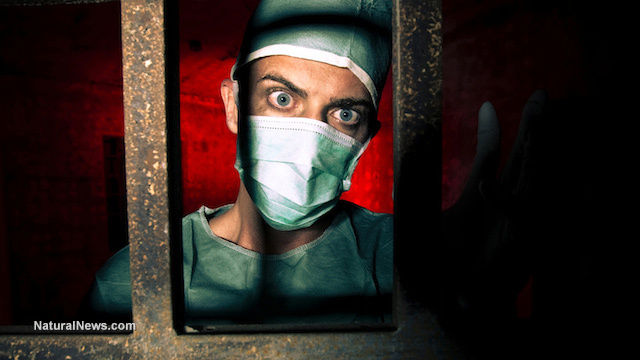 Should doctors like me shut up about pharmaceutical dangers and useless procedures? Do you wish the anti-smoking community had just shut up about the risk of tobacco? Or that leaded gasoline was still in use, or allowed in children's toys and paint for houses?" Boldness and courage is the order of the day; don't back down! Dr. Wolfson isn't about to back down and be threatened or intimidated into silence, and neither are we. And we can only hope that other doctors will follow his lead and speak up about the dangerous practices of modern medicine, many of which subject children to gross amounts of dangerous heavy metals, chemical adjuvants and other toxic substances disguised as "medicine." This all amounts to medical and chemical violence against human beings, and it must come to an end. "I am free to speak my mind and speak the truth, as a doctor, a father, and an American," adds Dr. Wolfson. "I urge you and urge all doctors to come out of the shadows and from under the rock where they hide. Open your eyes and open your mouth. There are hundreds of us out there on the front line defending the sanctity of children. Join us."